On June 27, 2013, the United States Senate voted to pass the Border Security, Economic Opportunity, and Immigration Modernization Act (the "Act"). If passed by the House of Representatives and signed by the President, the Act would represent the first whole-scale revision to the country’s immigrant laws in over 25 years. As the Act has worked its way through the U.S. Senate, there seems to have been no lack of opinions expressed by the media. This is clearly an emotional issue and one that will affect both current citizens and hopeful citizens, regardless of the outcome. Even though it is perhaps likely that several changes will be necessary in order to continue the reform momentum in the U.S. House, it makes sense to take a high-level review of the Act and assess what it may mean for another affected group – United States employers. • E-Verify. The provision of the Act that will likely have the largest impact on the greatest number of employers is the requirement that all employers register for and use the federal E-Verify system. E-Verify is an electronic verification system administered cooperatively by the Social Security Administration and the Department of Homeland Security. Use of E-Verify is currently voluntary (under federal law) unless a business is a federal government contractor. Notably, many states have implemented laws requiring use of E-Verify by certain employers. Along with the full-scale implementation of E-Verify, it is likely that employers can expect increased enforcement from the federal government in the area of worker identity and authorization as the process becomes electronically streamlined and therefore easier for the government to monitor. • Guest Workers. The Act would create a new category of nonimmigrant visas (the "W" category) for lesser-skilled workers and for individuals coming to the United States temporarily to perform agricultural services or labor. Portions of this new category would effectively replace the controversial and administratively burdensome H-2A agricultural worker program. • Legalization / Amnesty. Perhaps one of the most controversial aspect of the Act is the creation of a "path to citizenship" for the millions of individuals who are currently residing in the United States without lawful status or work authorization. In current form, the Act would implement a process for these individuals to become lawful permanent residents (a/k/a "green card" holders) and eventually citizens following satisfaction of certain requirements such as paying a penalty, paying back taxes, and making filings with the government. If implemented, this could result in an influx of millions of additional legal workers into the workforce. This may also result in current individuals who are working in an unauthorized capacity to present "new" identification documents to their employers. Although there are certainly portions of the Act directed at other facets of our immigration system, the items noted above are likely those that will affect the greatest number of employers in the United States. Many commentators have already expressed views that the Act is essentially "dead on arrival" in the U.S. House as that body of Congress apparently desires to move forward with its own legislation. However, the political discourse surrounding this issue makes it appear at least somewhat likely that some form of comprehensive immigration reform will occur this legislative session. In any event, the passage of the Act by the U.S. Senate puts the country closer to that reality than it has been for several years. With that, employers must be prepared to comply with new obligations imposed by any such reform. 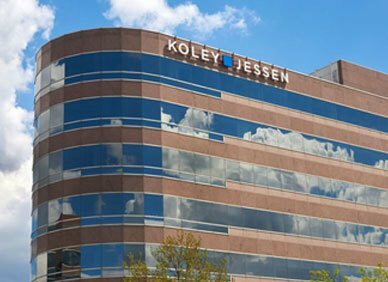 As you monitor the progress of this issue, feel free to contact a member of Koley Jessen’s Employment, Labor, and Benefits Practice Group if you have questions about the Act or what the changes may mean with respect to your workforce.